Skin is an amazing organ performing a number of functions vital to human existence. The average adult has about 21 square feet of skin that weighs approximately nine pounds and consists of 300 million dedicated cells. Board-certified dermatologists, Dr. Bruce Maltz and Dr. Carie Chui, and their team at Allure Skin & Laser Center in San Mateo, CA, are here to give your skin the specialized medical care it deserves to stay healthy and comfortable. There is no official count of specific skin diseases and conditions, but it easily numbers in the thousands. Plus, many other medical issues can present symptoms on the skin. 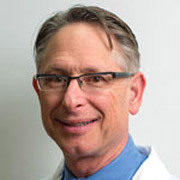 A Board-certified dermatologist has earned a bachelor’s degree with a background in biology, chemistry, and physics; spent four years in medical school; completed a dermatology residency; passed examinations to become licensed; taken many additional hours of continuing education for certification; and possibly completed a fellowship in a focused area of dermatology. This individual is in the best position to accurately diagnose skin problems and develop the most effective treatment strategy. The field of dermatology is changing quickly. As we gain a deeper understanding of its interrelationship with other areas of medicine, new treatment methods continually evolve. Allura Skin & Laser Center is committed to providing up to date care, with contemporary instrumentation and training. UV therapy is a good example. It allows us to address eczema, vitiligo, and psoriasis, safely and effectively. You can learn more about it on the Narrowband Ultraviolet Light Therapy page of this website. Dr. Chui is trained in Mohs micrographic surgery for treatment of skin cancers. This meticulous technique of removing a cancerous lesion reduces surgical impact to healthy, surrounding skin, while ensuring the highest success rate. Call Allura Skin & Laser Center at (650) 727-6008 or Book An Appointment online to see one of our well-qualified medical dermatologists in San Mateo, CA.